The 65cm Beauty Dish Pro Softbox is high quality, collapsible, transportable, lightweight beauty dish that you can take anywhere. The 65cm Folding Beauty Dish creates stunning soft light with round catch lights. The centre bounce disc reflects the “raw” light from your light source into the soft white reflector. As a result, you are able to light people perfectly, and achieve a round catchlight in their eyes. The Folding 65cm Beauty Dish Pro Softbox allows you to take a beauty dish to take with you on location without the weight and size of metal beauty dishes. It has an internal frame of supporting rods that are easily put into place. 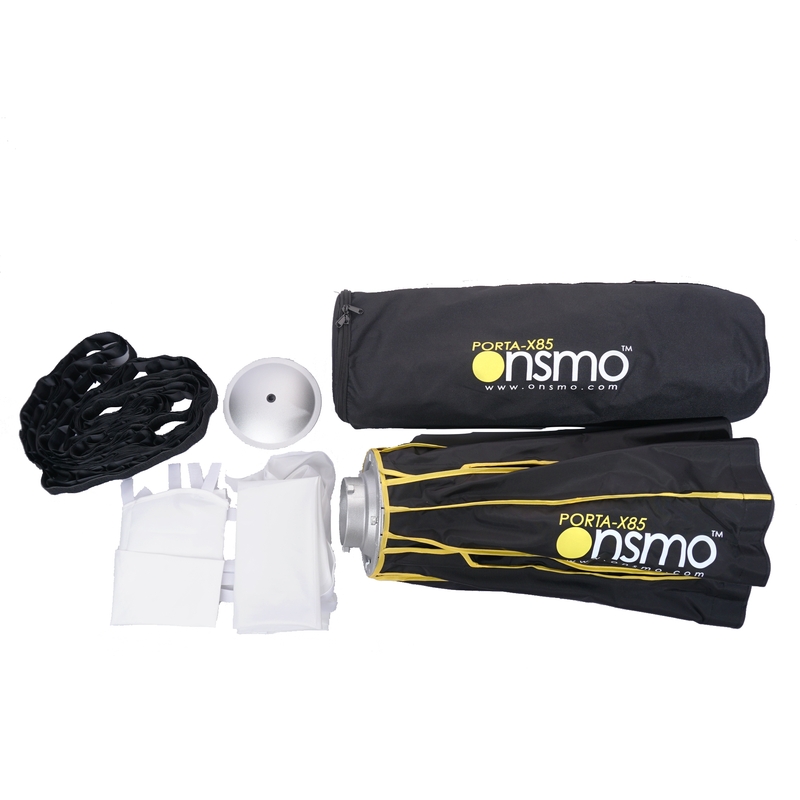 This beauty dish allows you to quickly set up and stow away and has a carry bag included for added portability. Transform it into a 65cm octagonal pro soft box by adding the supplied front diffuser screen. It also becomes a folding location 65cm reflector for a studio bare tube flash head when the centre disc and front screen are not used. The beauty dish pro softbox is compatible for Bowens mount lighting. With the optional accessory - S bracket, you will able to use your hot shoe flash / speedlight unit with this Folding Beauty Dish. 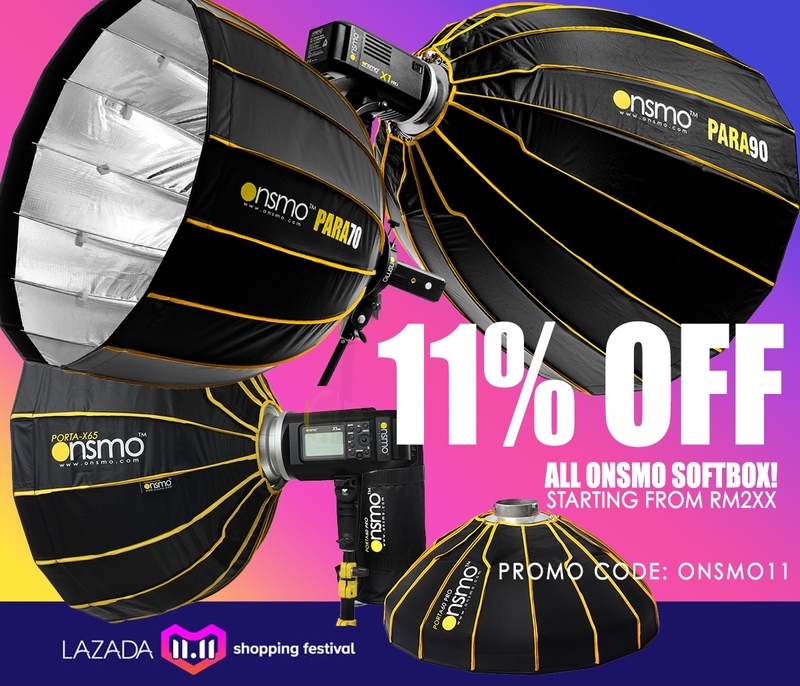 This is the perfect light modifier for shooting both on location or in a studio.